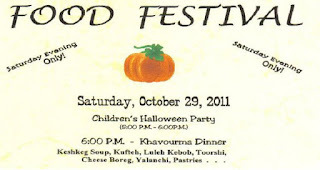 TheArmenianKitchen.com : Khavourma and Union City, New Jersey are a perfect match! Khavourma and Union City, New Jersey are a perfect match! After 30-plus years in Florida, we're used to feeling a little off-base when we get news of a fun event Up North. 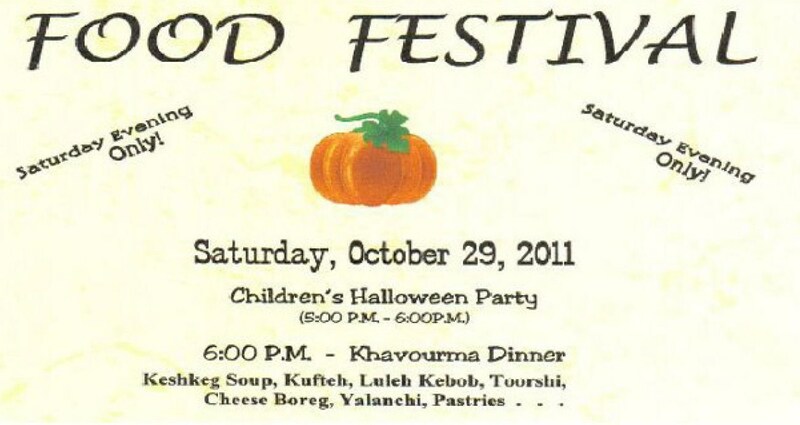 But this is too much: We're missing the khavourma dinner at Holy Cross Amenian Church in Union City, New Jersey! We're talking about incredibly tender chunks of salted lamb cooked and preserved in rendered fat. If that sounds somehow unhealthy, so what? It's not the sort of thing you eat every day. Although, when I was a kid I ate it pretty much every day. At least, I like to remember it that way. There are other versions of khavourma that take less time to make and involve fewer lipids—probably as many variations as there are ways to spell the English transliteration—but the venue in this case offers a big hint that this is the khavourma we both remember from our childhoods. Holy Cross is one of the old churches that dates to the great wave of Armenian immigration to the industrial North early in the last century. It was the church for the Armenians of Hudson County, and the congregation was heavily Dikranagertsi. My parents and Robyn's parents were married there weeks apart from each other in 1942. I was baptized there 10 years later. get-togethers—and the occasional church bazaar. Mom always insisted the food there was better than at other churches, not only because many of the people who made it were her cousins but because they were Dikranagertsi. Seeing the flyer for this dinner evoked a wave of mouth-watering nostalgia. It's nice to think some worthy traditions continue, no matter who's cooking these days. I was going to take some pics of the great food and send it over to your blog, but we got snowed in and couldn't go! I did hear that it still went on and they did get a crowd. I'm glad at least some people were able to enjoy it! I guess I'll have to wait until next year! I'm sorry you couldn't get to the Holy Cross food festival, but am glad to hear it wasn't cancelled. Thanks for offering to take food pix for us; we'll look forward to next year's photos!